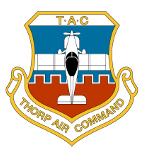 Thorp Air Command - T18.net • View topic - How can I achieve 180 KTAS in cruise? Post subject: How can I achieve 180 KTAS in cruise? I have always been happy with my 160 KTAS cruise, but I saw a post the other day where someone was cruising at 180 KTAS. That's a big difference to me. How can I get to 180 KTAS? I have an 0-360, wood, fixed pitch prop. My ball is centered in cruise flight with my feet off the rudders. I have everything faired except for the tailwheel. I typically cruise at about 2400rpm which gives me about 19-20 inches of manifold pressure. My plane weighs 1,000 lbs. I see these numbers at about 6500-8500 MSL. Post subject: Re: How can I achieve 180 KTAS in cruise? 216 mph cruise seems like a pretty lofty goal especially since it seems like most have their VNE less than that. If you meant miles instead of knots then it seems like aerodynamic cleanup is the ticket and maybe a different prop. Having fairings is only good if they are on straight. I gained at least 5 mph by removing my wheel pants. I gained some more with a cleaner exhaust installation and taping up holes in the fuselage. My bird is 15 mph faster today than it was the day I bought it with just those mods. A constant speed prop could make a big difference otherwise more HP is needed. I can't edit my post above but, as some of you may have noticed, I used 1.2 as the multiplier to convert knots to miles instead of the more accurate 1.15 multiplier. Using 1.15 converts 180 knots to 207 mph which would be below VNE. 'High Cruise' speeds are at maximum continuous RPM & Full throttle, at the altitude which combines the best available power vs the lowest atmospheric drag. Usually about 8,000 ft. Then get out your Air Data Calculator and plug in your pressure alt/temp/indicated airspeed data etc and compare to your GPS ground speed etc. You are not going to get 180 KTS at 2400 RPM, try 2700 if your prop will let you. Then play with the mixture for more. Scott is right. RP.M is horsepower. I have seen 214 MPH at 1000 feet on a cold day. RPM was 2800 and fuel flow was 16 GPH! The plane I flew to Fort Worth with 135 HP O-290 indicated 151 MPH and trued at 181 MPH at 11,500 MSL burning a little over 7 GPH. I cannot remember the MP but had it up around 2600 RPM IIRC. well, I guess I just need to push in the black knob all the way when I get to altitude, lean for best power and see what I can get. Maybe I can shorten my exhaust pipes a little bit, but other than that, no other airframe clean-up issues are jumping out at me. Oh well, when I saw Lee knocking down 180KTAS, I was really wanted to duplicate that!